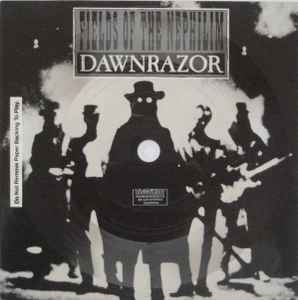 Flexidisc mounted to a 7" postcard to promote the US release of the album Dawnrazor. During track A1 Carl McCoy reads the text that can be found on the sleeve of Power 12". All tracks are snippets & announced by various members of the band. Total length of the audio is about 5:45 although no track times are listed on the disc. Back states 'Printed by Eva-Tone, Clearwater FL'.